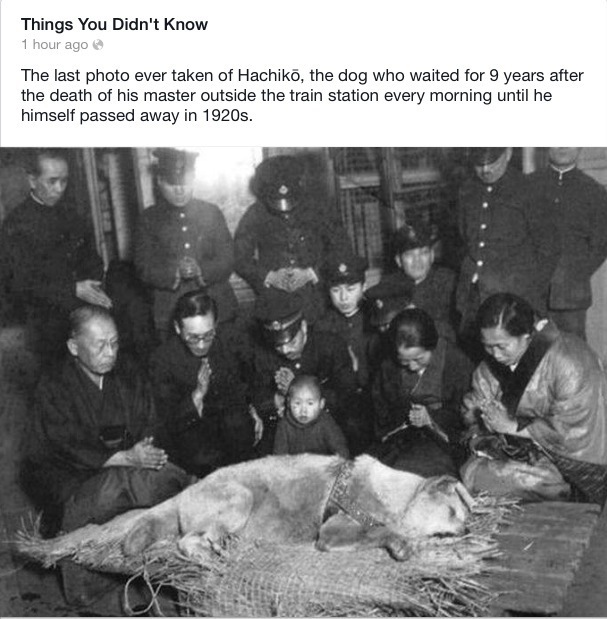 This picture and the story behind Hachikō and his Master make me Feel….I’ve been trying to think of the right word…make me feel sad, make me feel emotional, or overwhelmed. They make me feel all of these things, and none of them on their own. So I decided on just plain ‘Feel‘. ~ Image and words below from ‘Things You Didn’t Know’ Facebook Page. It’s one of the most true stories I’ve ever read about. is this story true ?